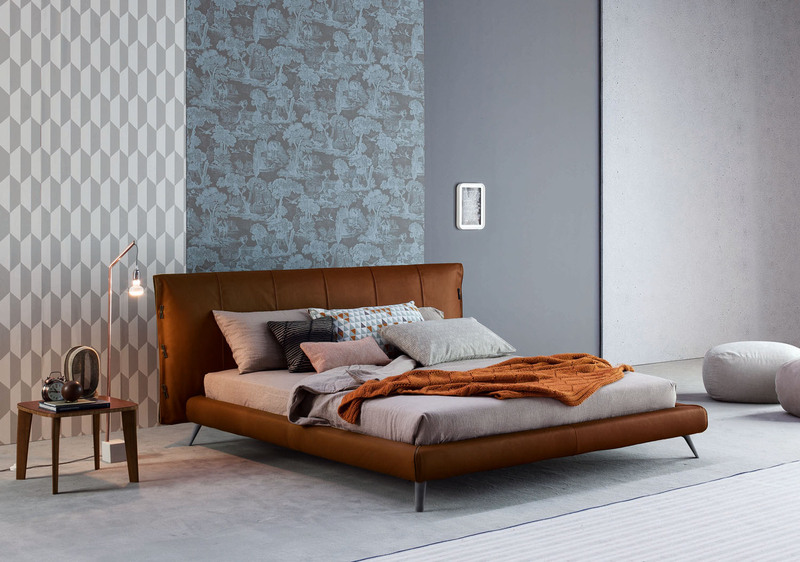 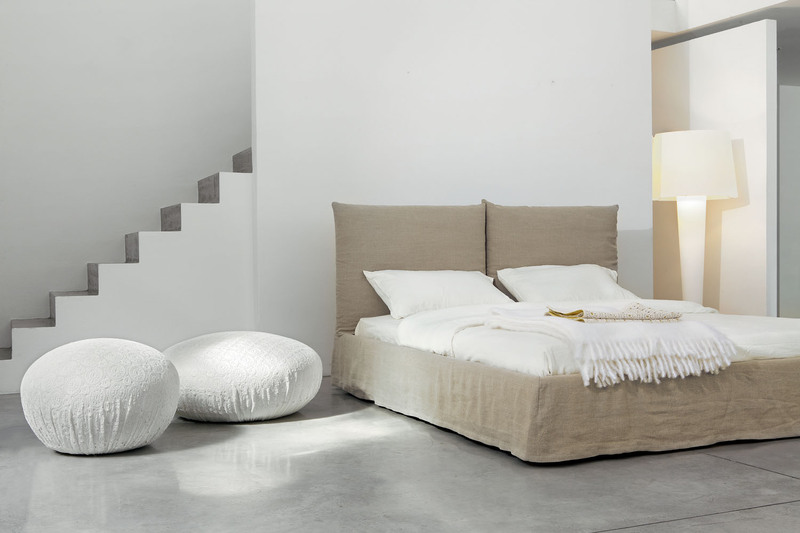 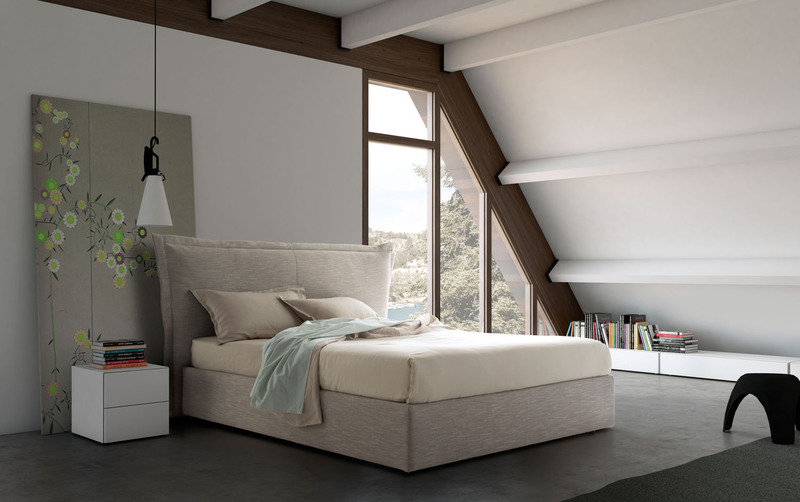 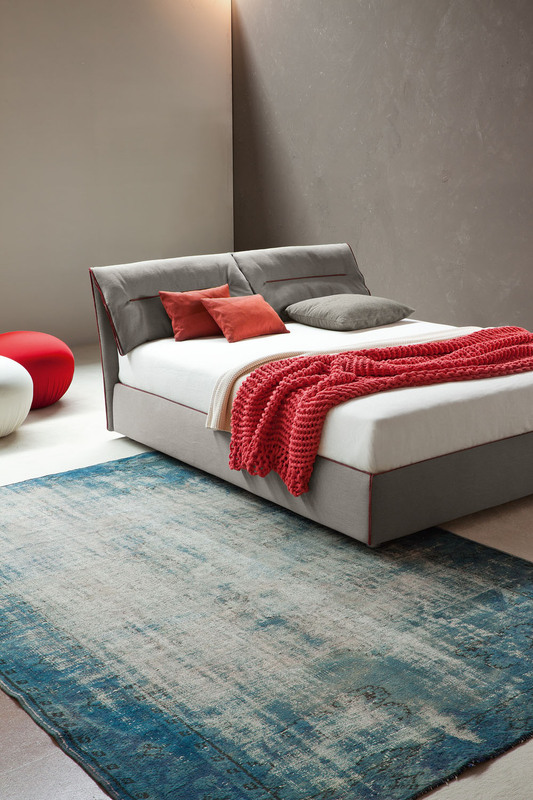 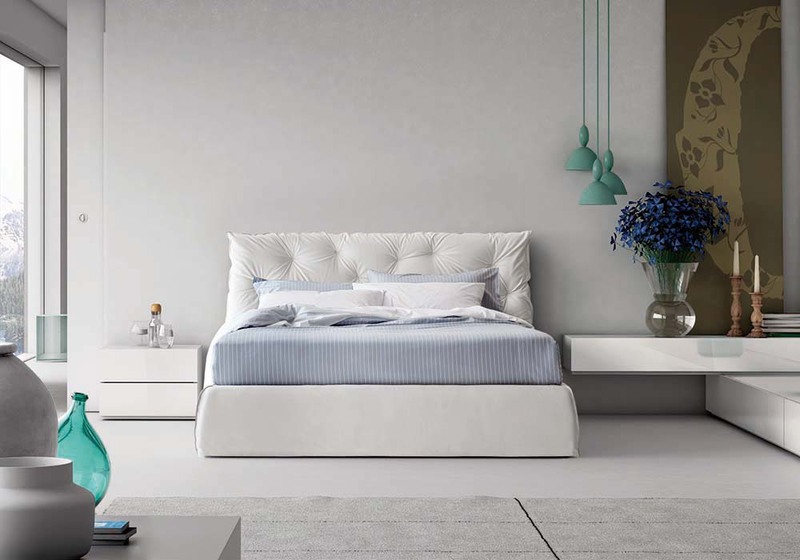 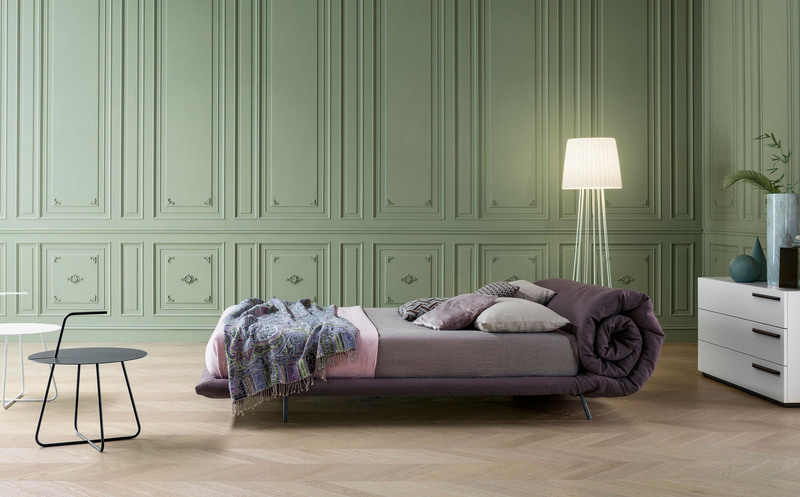 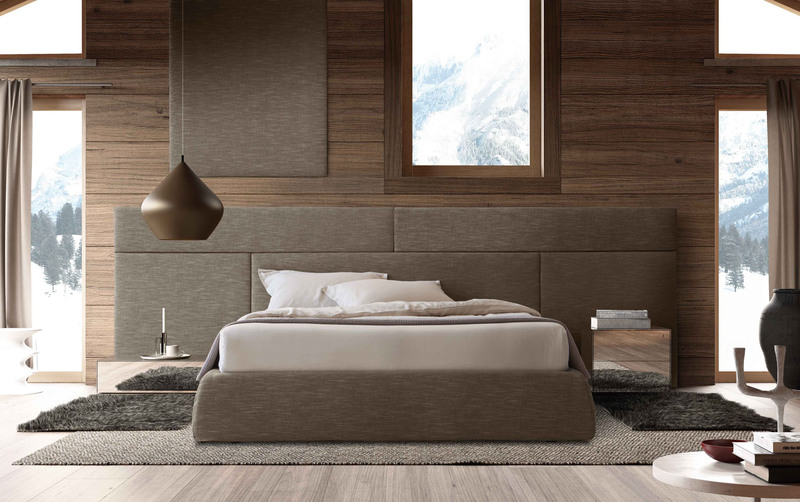 The dreamy Aladino bed, inspired by a magic carpet, is characterised by a soft headboard, covered in fabric or leather. 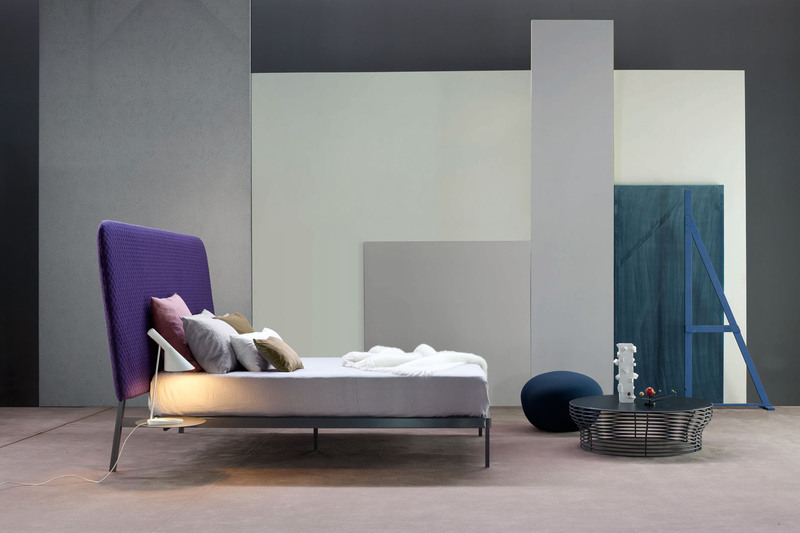 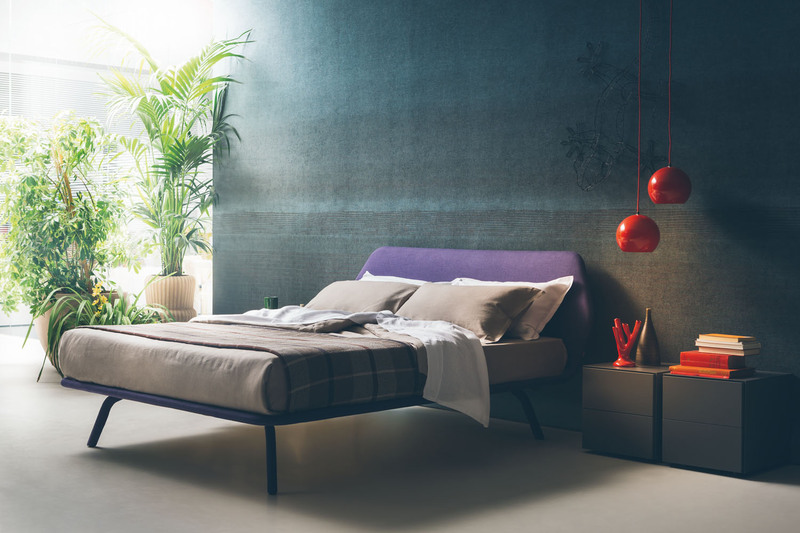 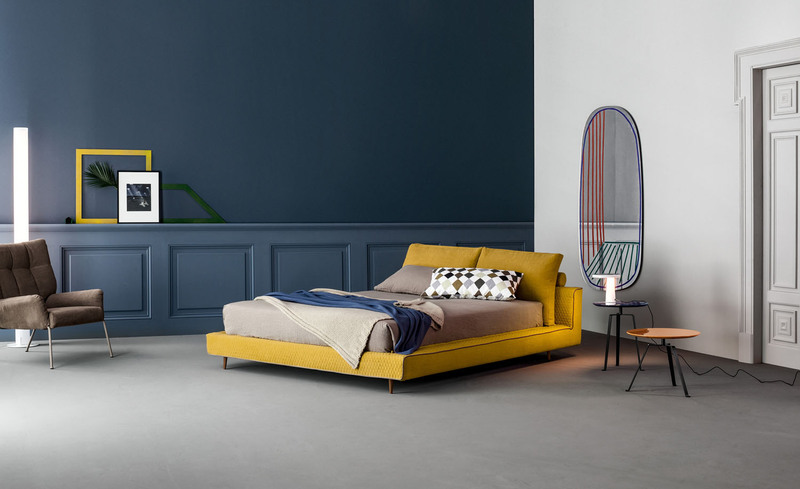 The dreamy Aladino bed, inspired by a magic carpet, is characterised by the fluidity of its soft headboard, which can either be covered in fabric or leather. 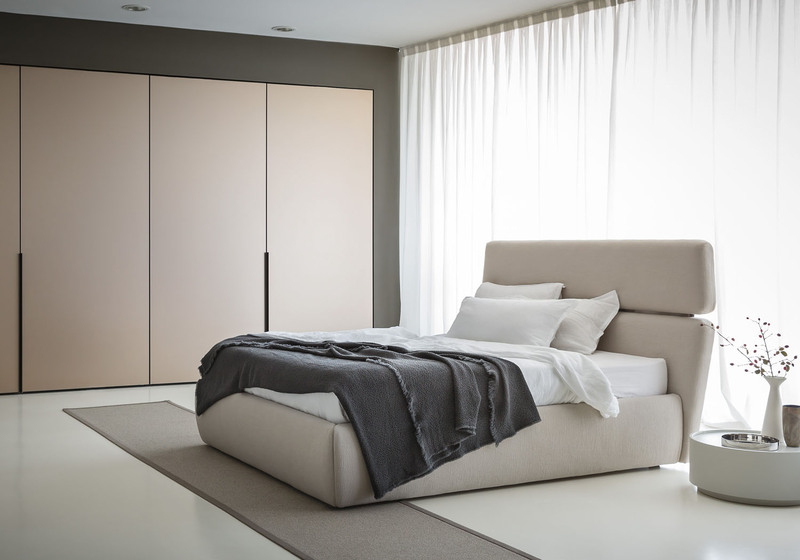 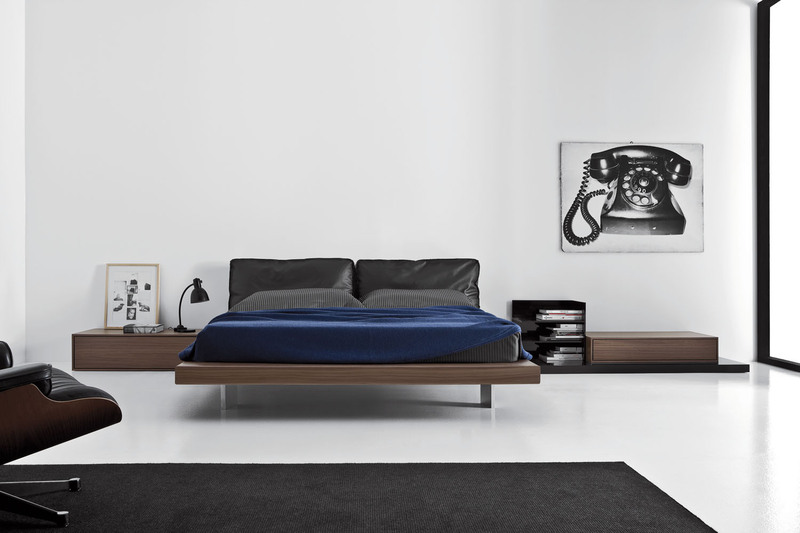 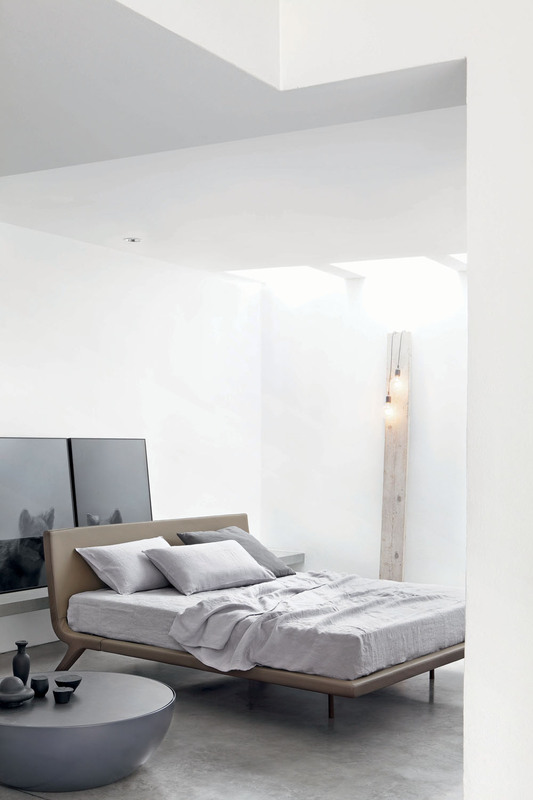 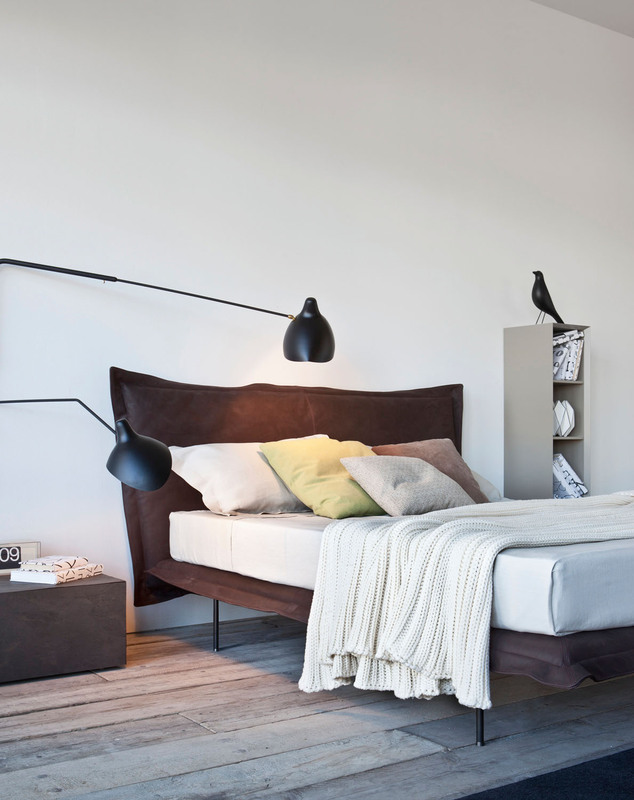 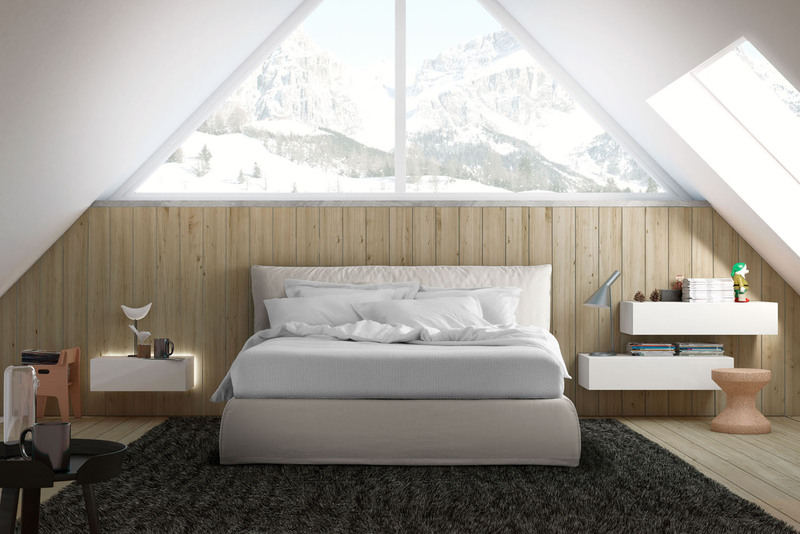 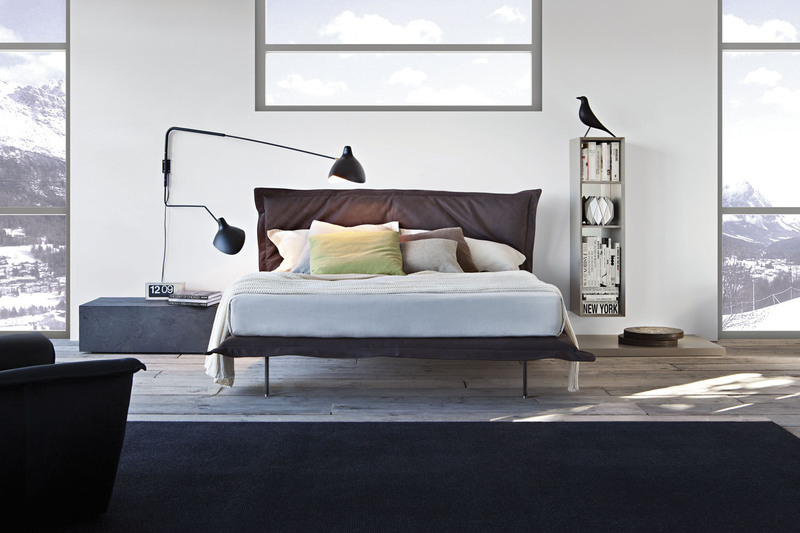 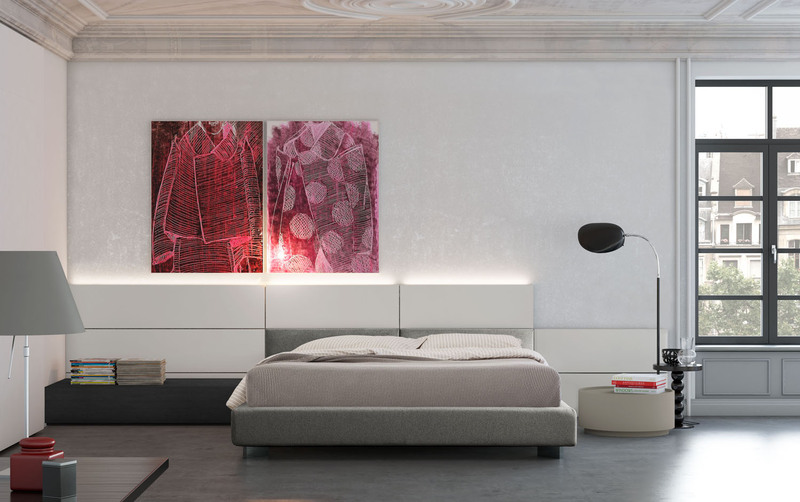 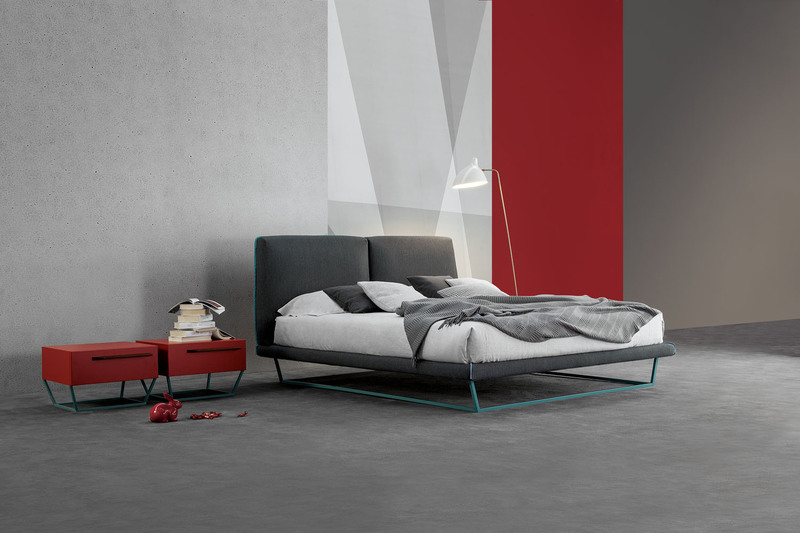 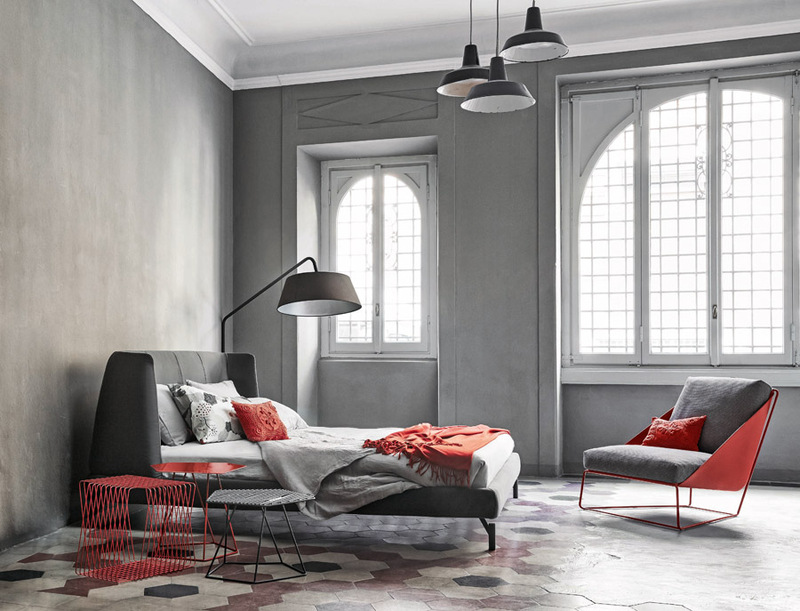 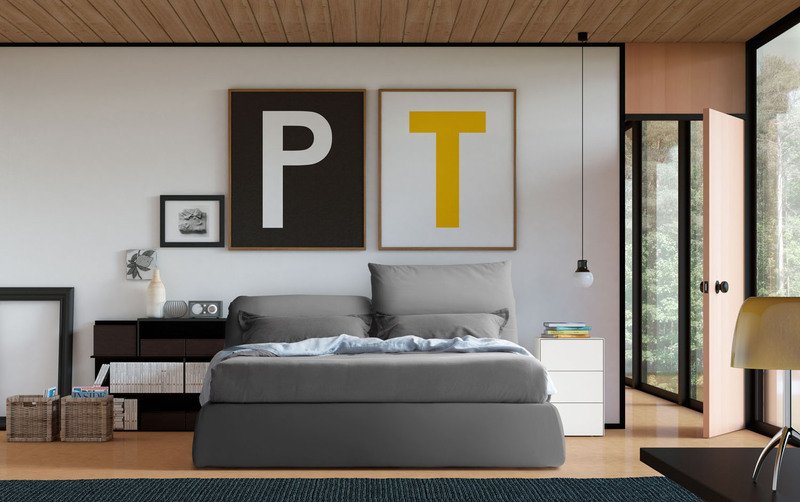 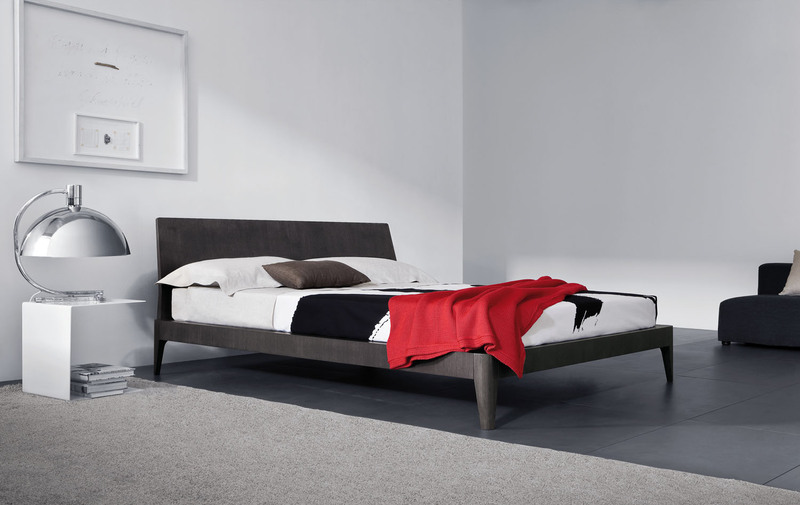 The bedframe can either be offered in the upholsered version, enabling storage, or in a sleeker option, supported by long and thin legs in a modern black chrome finish.